It's official. 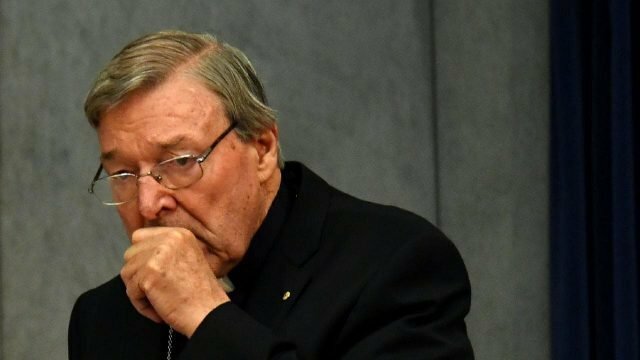 George Pell will be spending tonight in jail after his legal term withdrew his application for bail. Yes, the government might be corrupt. Yes, they might be stuffing their pockets will ill-gotten gains. But you know what? It’s fine. Really. Now that Jussie Smollett has been officially charged with faking his own hate crime, his lie will embolden those he blamed. While parliament has agreed to the royal commission into the abuse of the disabled, we still do not have a date. We do, however, know what we require from it. The sight of a noted critic of Rodrigo Duterte being placed under arrest bristles the senses. However, if you look deeper, the truth becomes obvious. As Scott Morrison remains tight-lipped about the source of the government breach, Twitter has speculated the origin of the hack. Yesterday a win was registered by those on Manus Island, but the margin of the vote should be a matter of discussion. Shorten siding with Scott Morrison over Manus is more than a capitulation, it should serve as a reminder to all of us. What a week it was. Venezuela took the high road, our banks shrugged off crisis, and one man rode an punchline all the way to the Presidency. The historic fires of 2009 might have shocked a nation, but considering the changing climate of this planet, we’re set to see far worse.